As some of you will remember, the last time I visited Health & Beauty Bournemouth, I was suffering with a serious case of inflamed acne, the like of which were treated (along with some topical meds from the doctor) at the salon, with a chemical peel and LED light therapy. That’s not to say I don’t get hormonal flare ups, but my spots are nowhere near the extremity of before and it has made the world of difference to my life on a daily basis; being able to walk taller, and be confident in my own skin. Fast-forward 3 months and whilst yes my acne has cleared up, I now have some residual scaring from spots I couldn’t leave well alone, so I went in search of the perfect treatment to tackle said scaring and give me a glowing complexion in the process and I found the very thing, in the form of ‘Dermaplaning’. If you haven’t heard of it before, Dermaplaning is the ridding of dead skin cells and vellus hair (AKA peach fuzz) using specialist techniques and a surgical scalpel—sorry, what was that last part?! If you’re just finding out for the first time that this treatment essentially involves a blade, then you’re probably a little shocked, but in truth we’ve used specialist blades in beauty therapy for centuries, not to mention the fact that 90% of us use them to remove our bodily hair on a bi-daily (or monthly—no judgment) basis. The issue for a lot of people is that whilst shaving their legs is one thing, removing skin from their face can sound a little daunting, which is why I decided to brave it for us all. Ok, so now you know what it is, you probably want to know why someone would get it done? First off, you know that whispery hair that grows on your face? Well, that can cause unwanted dirt and bacteria to build up on top the skin and block the pores, and eventually leads to spots. But if what we’ve always been told about shaving our facial hair is true, then the hair will surely grow back thicker and darker? WRONG. It’s a common misconception, but it’s not the case with regards to this treatments. The hair will grow back eventually, but no more than what was already there, and certainly not darker. 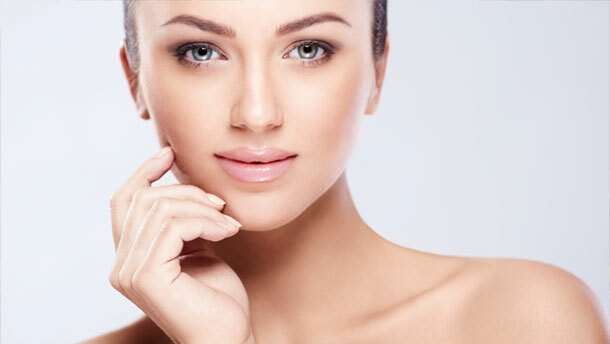 Dermaplaning is also great for removing and dead skin cells, which not only leaves your skin smoother, but it equally allows your make-up to go on better, and your skincare to absorb more easily too. With all this in mind, I had to find out what it was really like for myself. The treatment began with parts of classic facial—cleanse, gentle exfoliation, and tone. Then soon enough it was time to go “under the knife” as it were. Francesca (Owner/Therapist, Health & Beauty Bournemouth) began by checking the surface of my skin for any dry areas, which she applied facial oil to, where necessary. We started the surgical exfoliation (the actual knife work itself) with my forehead, and honestly it really wasn’t painful. I wouldn’t say I have a particularly high, or low threshold for pain, but all I can say is I could probably hear the scraping more than I could feel it. Francesca was meticulous in getting every little bit of my face smooth, and even gave my nose a good old-fashioned blackhead squeeze—not pretty, but pretty necessary in my case (damn hereditarily large pores). True to its promise, the treatment has left the surface of my skin really smooth. My Skincare seems to be sinking in a lot better, and equally my make-up is going on smother too. The scaring has definitely reduced, but not gone entirely, which I imagine means I’d need to go for a couple more treatments to fully get rid of it. The vellus hair (peach fuzz) on my face has not grown back darker, nor more ferociously and I am pleased to announce that I am not walking around a real life bearded lady. The pores on my nose—which Fransecsa worked the most on—have shrunk, and I’m sure with continued treatment could even disappear further. The fear of the treatment itself is far far worse than the actual procedure, and it will leave your skin smooth, soft and peach fuzz free for weeks (if not months) after.